Diana Abril is constantly on the go. As corporate general counsel for Whitney International University System—a leading provider of services and best practices to optimize universities—she crisscrosses Latin America, visiting the offices and campuses of Whitney’s network of schools, which are located in Argentina, Brazil, Chile, Colombia, Costa Rica, Panama, and Paraguay. While Abril’s home base is Miami, she’s frequently out of the country. Moving around is in her blood. Born in Colombia, her family moved to Massachusetts when she was 10; she followed her family to Florida after graduating from high school. Understand the culture and market of the country where you are operating. Find solid local partners you can rely on. Communicate frequently with your team and with your partners. Abril says she works to be seen as someone who can help execute and get things accomplished. “The legal department shouldn’t be a nuisance to the achievement of an organization’s goals, but rather a partner of the business,” she says. Abril is involved in her field as well as in her community. 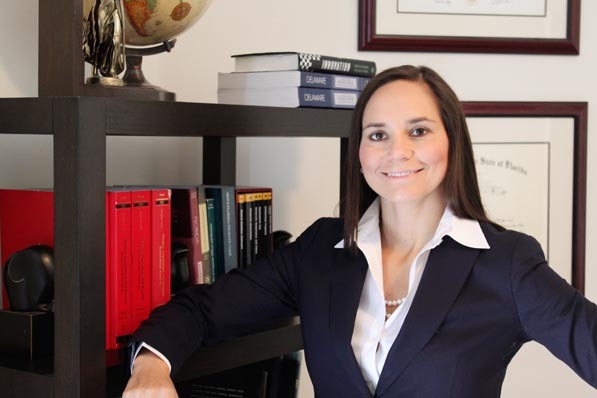 She is a member of the National Association of Women Lawyers and the South Florida Group of Regional Counsel. “The key is to work hard. People do notice that,” she says.